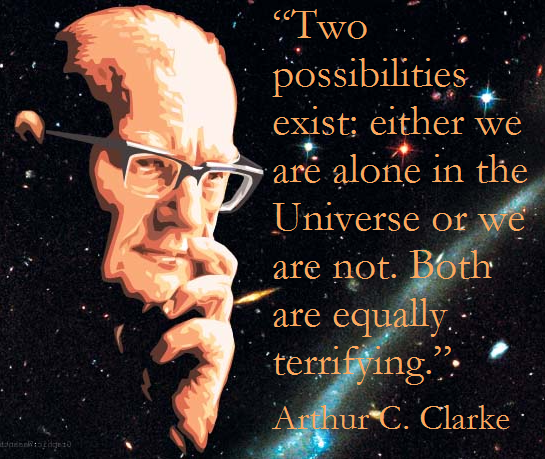 Paul Gilster has allowed me the opportunity to post on his widely read Centauri Dreams blog, and in this forum I have written primarily on topics of SETI and interstellar travel, existential risk and spacefaring civlizations. Given the engaged readership of Centuari Dreams, it has been a great pleasure to have the feedback of the many comments that usually result from these posts. 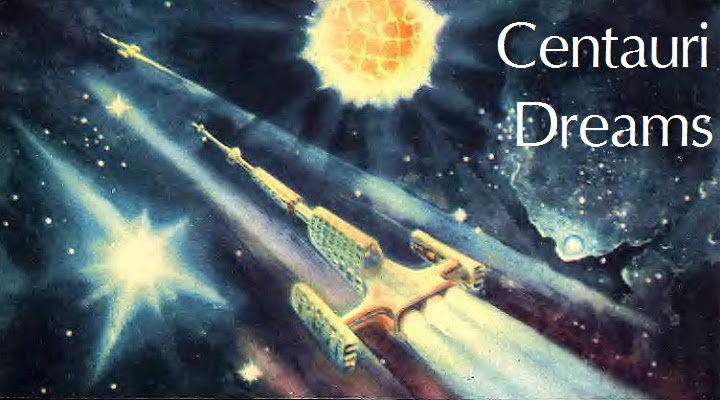 All of my posts on Centauri Dreams are linked below. This was my first post on Centuari Dreams, and it was largely an adaptation of the joint presentation I gave at the Icarus Interstellar Starship Congress with Heath Rezabek. At some point a joint paper by the two of us on the same themes should appear in the Journal of the British Interplanetary Society. In this post I argue that existential risk mitigation in the context of interstellar civilization must consist of three elements: knowledge, redundancy, and autonomy. In this post I traced the evolution of the idea of deep time from geology to contemporary astrobiology (deep time in biology) and big history (deep time for humanity and our civilization). While we (and our planet, and our biosphere) have always been subject to existential risk, it is the intellectual development and elaboration of deep time that has prepared us to understand existential risk, and it is this same understanding that makes it possible for us to formulation existential risk mitigation efforts in a scientific context. Existential risk is not mere doomsday prophecy, but a late realization that we are vulnerable in ways that we are capable of understanding and capable of mitigating. This post was inspired by a discussion of METI (messaging extraterrestrial intelligence) that occurred at the Icarus Interstellar Starship Congress in Dallas in August 2013. After this was posted to Centauri Dreams, both Jim Benford (James Benford: Comments on METI) and David Brin (SETI, METI… and Assessing Risk like Adults) responded in the same forum. 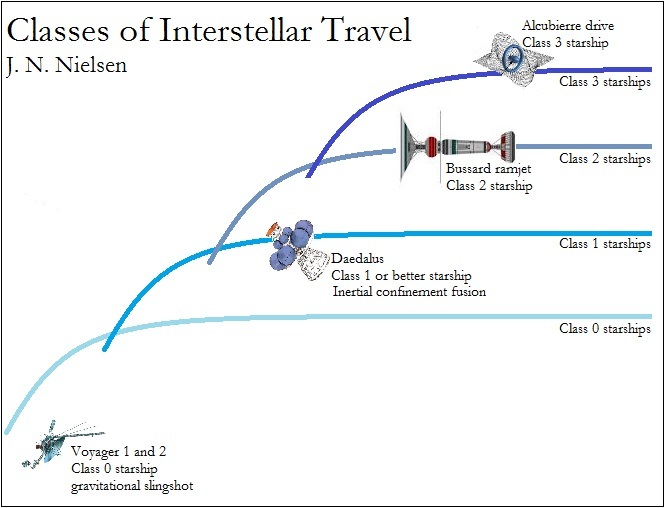 In my previous Centauri Dreams post I discussed SETI and METI, and then I moved on to discussing why, in my view, interstellar travel is more likely than interstellar communication. Interstellar communication by way of EM spectrum technologies (at least until we have developed quantum entanglement transmitters) involves a time delay for the sender and receiver of the message that exceeds what I take to be an acceptable period of time for organic forms of life (or even their non-organic successors). 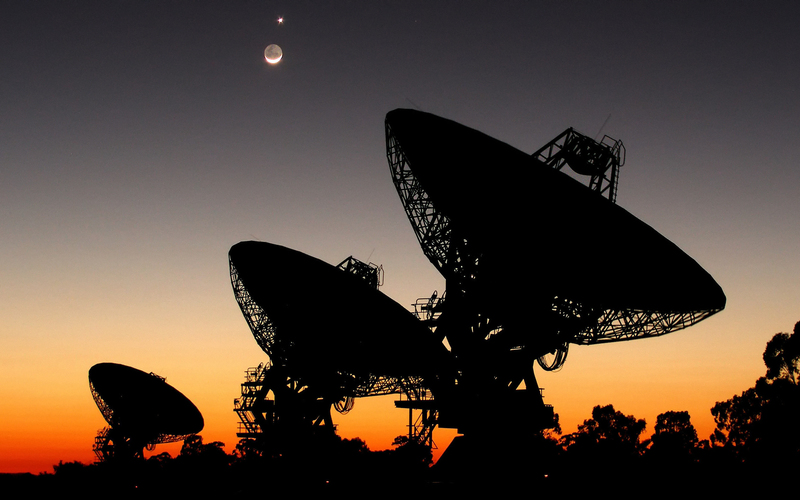 Entire civilizations and the technologies that support them could rise and fall in the time it takes for an EM spectrum message to traverse the distance of a single galaxy. Interstellar travel displaces this time delay to one’s inertial frame of reference that is at rest, and allows the individual to experience directly that which METI and SETI holds out the hope of only experiencing vicariously. Building on my earlier arguments in SETI, METI, and Existential Risk and Cosmic Loneliness and Interstellar Travel, in which I sought to offer reasons that industrial-technological civilization is very rare in the universe, in this post I tried to show how the kind of civilization that will follow from interstellar voyages will, by its very structure, offer significant existential risk mitigation. Spatial distribution throughout the universe entails temporal distribution throughout the universe, because travel at relativistic velocities results in time dilation. The temporal distribution of civilization is a robust existential risk mitigation measure because it means that multiple redundant centers of civilization will be separated over a much greater length of time than the chronological age of the civilization. If some truly great disaster occurs — such as a massive gamma ray burst, or a large supernova close to the Earth, or some other catastrophe of cosmological proportions — a temporally distributed civilization has a much greater chance of surviving such a catastrophe than a civilization confined to a small slice of time taken out of the history of the universe. In this post I wrote that, “Because of our anthropocentric moral standards, we will likely have less moral compunction about modifying other species for their use on space settlements or other worlds.” There is much more to be said on anthropocentrism and the biology of extraterrestrial expansion, since many thinkers on the future tend to be highly anthropocentric in their formulations, and I think that this tendency needs a corrective. The terminology that is used, for example, to discuss transhumanism and the technological singularity, resembles traditional religious writing in its pervasive anthropocentrism, as though the future of human beings could be separated from the terrestrial biosphere of which we are but one expression. Nikolai S. Kardashev is one of the great visionary thinkers of our time, and one of the few names that I think will still be familiar in a thousand years. His conception of civilization belongs to the biggest of the big pictures, and it is intellectually exhilarating to follow Kardashev’s reasoning about civilizations of cosmic proportions. 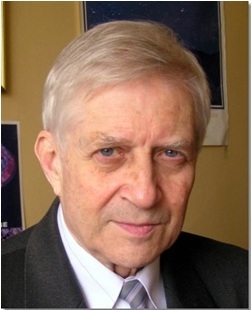 I wanted to carefully examine Kardashev’s formulations in the light of all that has been said about Kardashev since his 1964 paper that introduced the idea of types of civilization based on the use of energy levels, “Transmission of information by extraterrestrial civilizations.” In another forum I noted that interpretations of Kardashev are like a contemporary Rorschach test, in that every commentator sees something different in Kardashev’s deceptively simple and straight-forward quantitative rankings of civilization by energy use. Since writing this, I have come understand that my own interpretation of Kardashev is misleading in some respects, and I plan to return to this. In this post I considered the potentially divergent scenarios of a spacefaring civilization with primarily space-based infrastructure and a spacefaring civilization with primarily planetary-based infrastructure. At the end of the discussion I give the idea a Marxian twist by suggesting that divergent economic infrastructure are likely to issue in divergent ideological superstructures. This is an idea worth greater elaboration, so I hope to return to it at some time. 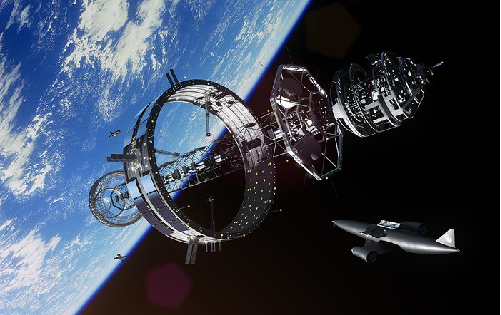 This post followed up on my previous post, The Infrastructure Problem, in investigating the kinds of spacefaring civilizations that would follow from the practicability of different forms of interstellar travel. Spacefaring civilization is not indifferent to the means by which spaceflight is attained, and interstellar civilization is not indifferent to the means of interstellar travel. 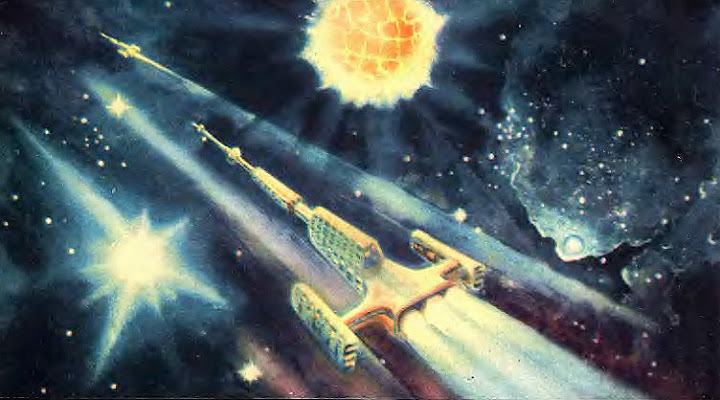 We can get a broad overview of spacefaring civilizations by distinguishing classes of space travel based on some metric of distance, speed, or elapsed time; the important point here is not one of particular technologies, but only the idea that broad distinctions can be made within possible technologies for interstellar flight, and a range of different technologies might be employed to realize the kind of transit of any one class of spacefaring civilization. In this post I suggested that the history of life on Earth can be extrapolated spatially to understand the likelihood of the kind of life we will find most prevalent in the universe. Earth has hosted life for almost 90 percent of its existence, so that if (according to the principle of mediocrity) life on Earth is representative of life elsewhere, all the Earth-like planets that we are now finding have about a 90 percent chance of having developed the simple forms of life that have dominated the history of life on Earth. While I didn’t point this out in my essay, I now realize that this point of view has some similarities to the work of Stephen J. Gould, who often emphasized in his books that simple life dominated the history of life on Earth, and that more complex forms of life shouldn’t be thought of as being the culmination and goal of life on Earth, but the nearly inevitable result of variation that begins from a rudimentary minimum. 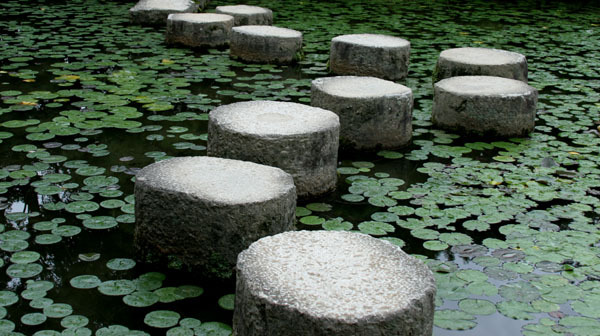 Rudimentary life can only vary in one direction, toward greater complexity, and this will happen over time. This is the source of the well-known illustration of the drunkard’s walk: if a drunkard walks between a wall and a ditch, sooner or later he will end up in the ditch. In his essay I considered what I call “civilizational imperatives,” by which I mean central motifs from which a given civilization derives its meaning, purpose, and value, and which individuals of these civilizations adopt in order to give shape and structure to their lives. This might be considered an application of the Marxian twist introduced in The Infrastructure Problem, as civilizational imperatives could be identified with divergent ideological superstructures. For a sense of what I have in mind, consider Egyptian civilization: the ancient Egyptian pyramids still stand today, and it must have been a massive undertaking to build them, not to mention the extensive temple complexes of ancient Egypt. While there are economic, sociological, demographic and other explanations for “why” a society would undertake such enormous construction projects, there is also the manifest meaning that the Egyptians themselves gave for these projects. The manifest meaning of the pyramids and temple complexes of ancient Egypt is integral with the religion of Egypt, in which the Pharaoh played a role as a living god ruling over a utopian society. The tomb of a Pharaoh is in turn integral with the Pharaoh’s role as a living god. Thus pyramids, for all their looming enormity, are epiphenomenal to the essential religious conception of the world that motivates their construction. The ancient Egyptian conception of the cosmos and their role within the cosmos constituted a civilizational imperative that express itself in their institutions of their society no less than in the building of the pyramids. Similar considerations are true for the role of cathedrals in Medieval European societies (the illustration I use in the above-linked article) as well as other societies and their monumental architecture. This effort is less continuous with my immediately previous Centauri Dreams posts, in so far as I skip ahead to the very far future, approaching the limits of cosmological eschatology, in which the structures of civilization — even the large scale structures of spacefaring civilizations — are no longer relevant because no longer extant. What happens after the end of conditions conducive for anything that we could call civilization? Does the history and legacy of civilization come to complete and utter ruin, or does it persist in a kind of afterlife to civilization, no longer civilization itself, but a successor (what I have elsewhere called a post-civilizational institution) consistent with the memory of civilizations of the Stelliferous Era? We all know that it is incautious to try to say anything definitive about the far future, and especially the science of the far future. Our scientific knowledge is growing so rapidly at present that it is difficult to say what will be possible in ten years or hundred years, much less in the Degenerate Era when all the stars of the Stelliferous Era have run out of hydrogen and the universe has gone dark. Nevertheless, there are emerging theoretical frameworks for thinking about the extremely distant future. As a chronometric scale for cosmology I employ the five ages of the universe formulated by Fred Adams and Greg Laughlin, and in this context I consider the possibility of Freeman Dyson’s “eternal intelligence” (the phrase is not due to Dyson, but the idea is). 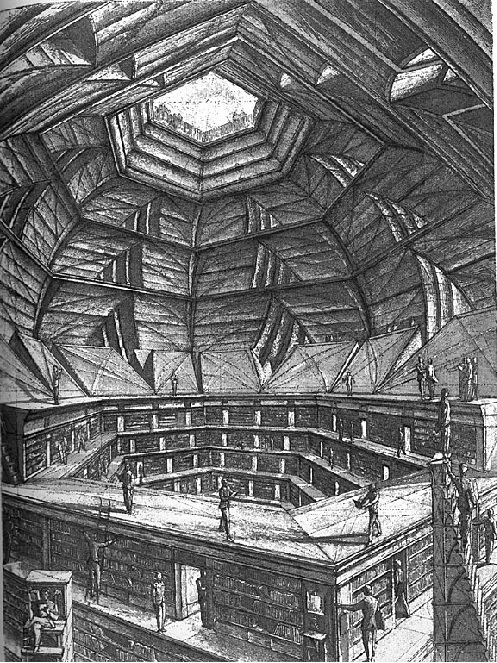 I followed this Centauri Dreams post with several related posts on Tumblr including Addendum of Degenerate Era Civilization and The Finite Record of Classical Antiquity. My longest contribution to Centuari Dreams to date (and I am grateful to Paul Gilster for indulging my lengthening contributions to that forum) is an attempt to bring an historiographical synchrony to futurism by taking up both transhumanism and interstellar travel, in order to examine how each will influence the other. As long as this post is, it could have been much longer. I haven’t done justice to the idea of “The Great Voluntaristic Divergence,” but at least the ideas are out there, and I can work at improving my exposition and adding detail to the picture. I find that I am still, several years later, both fleshing out and refining many of the formulations of my “The Moral Imperative of Human Spaceflight” from 2011, and I imagine I could easily spend the next several years drawing out the implications of this and the previous Centauri Dreams posts, both of which were already quite long, but suggestive of many ideas and attempting to extend the reach of futurism into the very far future, which is where these Centauri Dreams posts began, with an examination of far future existential risk. Unlike my previous Centuari Dreams posts, this present post is a sustained thought experiment—actually, two thought experiments, and their comparison—derived from the zoo hypothesis. The zoo hypothesis is the response to the Fermi paradox that holds ETI is purposefully not communicating with human beings, which latter are being kept in a “zoo” or wildlife sanctuary or wilderness area (for a related idea cf. The Wilderness Hypothesis). In this thought experiment I have posed myself this question: suppose we are being kept in a zoo, i.e., that we are being watched by intelligent aliens who hail from a far more advanced civilization than ours. The idea of being watched by advanced ETI poses the question as to what their experiences would be as scientific observers of humanity and our civilization. What would these aliens observe? How would they describe us? What would they think of us? After I sent this to Centauri Dreams I wrote a couple of posts about experimental archaeology in the future, Experimental Archaeology of the Future and Portraying the Future: “Historical Pre-Enactment” (the latter a comment upon James Hester‘s post Portraying the Future: ‘Historical Pre-Enactment’), and I have thus realized that the experimental archaeology that places the archaeologist in an authentic context (whether an authentic context of the past or future) is another perfect example of the sciences that use technology to place a human observer (as a whole person) in a position where it is possible to make novel observations — something that this essay discusses in some detail. Also, a few weeks ago in “Adventure Science Enters the Space Age,” along with Jacob Shively I argued for the importance of “adventure science” in contradistinction to “big science.” Adventure science, too, is another example of science undertaken by human beings on a human scale. The overview effect, experimental archaeology, and adventure science all represent science undertaken by the whole person, in which the embodied mind encounters the world through the mediation of the human body, and this mediation can be a significant constituent of the experience. As long as civilization allows the possibility of new experiences, and our technologies can place human beings in new contexts in which human experience can reveal hitherto unrecognized aspects of the world, there will be a specifically human role in the development of scientific civilization. While I did not write this as a response to Bill Joy’s famous dystopian essay, “Why the future doesn’t need us,” it nevertheless could be taken as an argument that the future does, in fact need us, and that human beings are indispensable to history on the largest cosmological scales. This piece is explicitly narrative in its structure, introduced by a reflection on human nature derived from Paul Gauguin’s painting D’où Venons Nous / Que Sommes Nous / Où Allons Nous. It was my original intent to develop this reflection on Gauguin’s painting in the light of E. O. Wilson’s use of the same painting in his book, The Social Conquest of Earth, and thence to move on to the existential questions that E. O. Wilson took up next in his The Meaning of Human Existence (and which were continuous with many of the questions of the earlier book). However, the essay was already long enough, so that developing themes in common with Wilson’s exposition would have made it too long, and I would have risked losing the thread of the narrative that I wanted to present, which is an elaboration of the timeless existential questions that Gauguin painted into his canvas. E. O. Wilson’s work has been extraordinarily important to me. All of the major ideas that have marked his scientific career—island biogeography, sociobiology (which turned out to be evolutionary psychology in its nascent state), biophilia, multi-level selection, of which one component is group selection, and the recognition of eusociality as a distinct form of emergent complexity—are ideas that I have used repeatedly in the exposition of my own thought. And although I have started from the same symbolic point as Wilson—Gauguin’s depiction of the stages of human life—and I have drawn heavily from Wilson’s ideas in evolutionary biology, I come to radically different conclusions. Wilson ends his book The Social Conquest of Earth with reflections on planetary endemism, and how, “[Earth is] the only home humanity will ever have” (p. 294), and, “…nobody is going to emigrate from this planet, not ever.” (p. 295) This theme occurs throughout Wilson’s book, and I encounter it elsewhere with some frequency. I’m not yet sure how to respond to this, or even whether it is a good idea to attempt a direct response. It might be better simply to witness the transcendence of planetary endemism and allow time to make these pronouncements first look ridiculous, and then, later, charming in their self-imposed limitations. Another source of my narrative, strangely enough, was a remark made by Tony Blair, who, in some context I can no longer recall, said that every great political speech has three components: where we are now, where we need to be, and how we get from where we are to where we need to be. So my narrative was drawn in equal parts from Paul Gauguin and Tony Blair — part existential meditation on the human condition, and part political exhortation to create the world to come. This post draws heavily on a number of posts I’ve written over the prior year or so about various ways or getting to Mars or settling Mars and the eventual emergence of a distinctively Martian perspective. This distinctively Martian perspective will be the basis of a Martian civilization that is distinct from terrestrial civilization, and the process of exploration, settlement, and acclimatization to Mars will probably begin in this century and stretch out over the coming centuries — and even across the coming millennia if efforts are made to terraform Mars. A significant comments thread has appeared, which has given me ideas for further elaboration. What most needs to be addressed is to come to an appreciation of the synchronic context of any individual mission of space exploration or space settlement. Advocates of one particular plan or another tend to view their undertaking in exclusivist terms, but this isn’t how the sausage-making process of history works. History is not neat and tidy. Even if a society or civilization adopts an over-arching central project that directs its activities from the top down, there are still going to be many divergent, non-central projects. In fact, to those living through a particular historical epoch, the central project of their civilization may not be at all evident, as any one individual may be caught up in activities and experiences not obviously connected to any central project. In this essay I quote Fernand Braudel to the effect that, “…we can no longer believe in the explanation of history in terms of this or that dominant factor. There is no unilateral history. No one thing is exclusively dominant…” The lesson of synchronic historiography is precisely Braudel’s point that there is no unilateral history. But synchronic history is terribly difficult; I try to give a sense of this difficulty in the above-linked post. 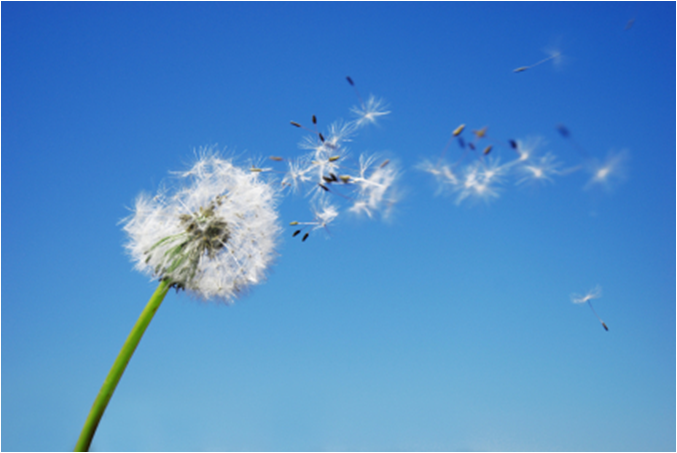 However, our human perspective is both synchronically limited and diachronically limited. Since in the linked essay I focused on our synchronic limitations, here I am going to briefly mention our diachronic limitations. Because of our tragically limited human lifespan, we view the world into which we are born as normative, and usually fail to understand the full historical context of our experience. The past, we have heard, is a foreign country; the future is also. Our lived experience is, for us, the measure of all time and eternity, and it always has been, even when the world was a different place—and it will be as well when the world becomes a different place. One can imagine a medieval pilgrim visiting the Abbey at Cluny, marveling at its size and wealth, and believing this to be a high point of civilization, not to be surpassed, and to remain, more or less, as a permanent component of the world. But the Abbey church at Cluny, once the largest in Christendom (until St. Peter’s Basilica was built), was largely destroyed during the French Revolution, and today we have only a few ruins and writings of medieval chroniclers to testify to its former magnificence. A medieval Cluny pilgrim transported into the present by a time machine would experience an “Ozymandias moment.” Much of what we have built, the source of our pride in the power and reach of our distinctively modern civilization, is not likely to last even as long as Cluny. The sprawling, enormous cities that we have built since the industrial revolution, mostly on the shores of our continents, are vulnerable to the point of delicacy. Some of these cities will survive, and some will not. Many cities on the shores of a rising ocean will be drowned, but this will not be the end of civilization, only the end of a city, in the same way that the end of Cluny was not the end of Christendom. As I pointed out in the essay with the example of Detroit, a major industrial center can fail even as industrialized civilization continues to develop. 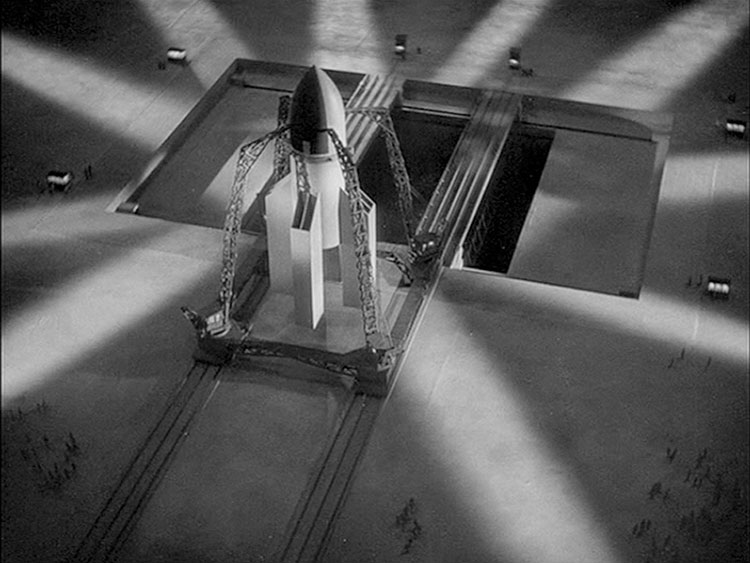 The buildout of spacefaring civilization will also experience failures, reversals, loss of life, tragedy, and setbacks. When spacefaring efforts fail or come to grief, this will not be the end of spacefaring civilization (because there will be many such efforts), though it will be the end of individual lives and particular projects. 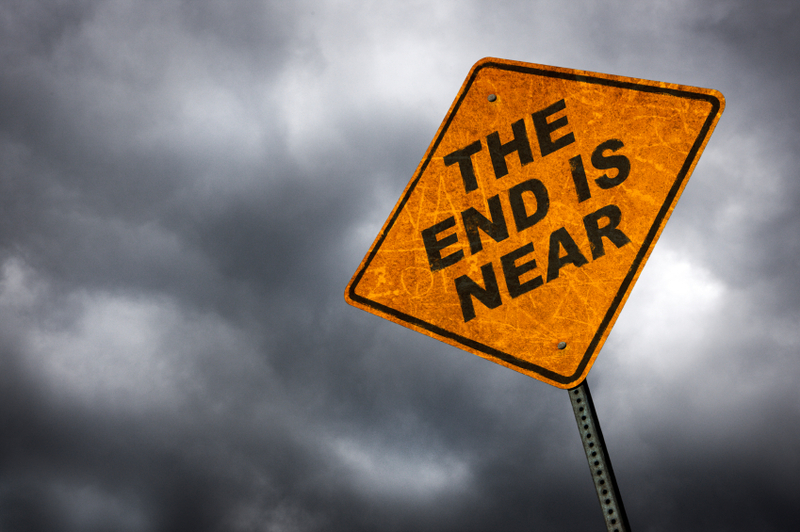 Civilization will go on, unless it encounters an existential threat that it cannot overcome. 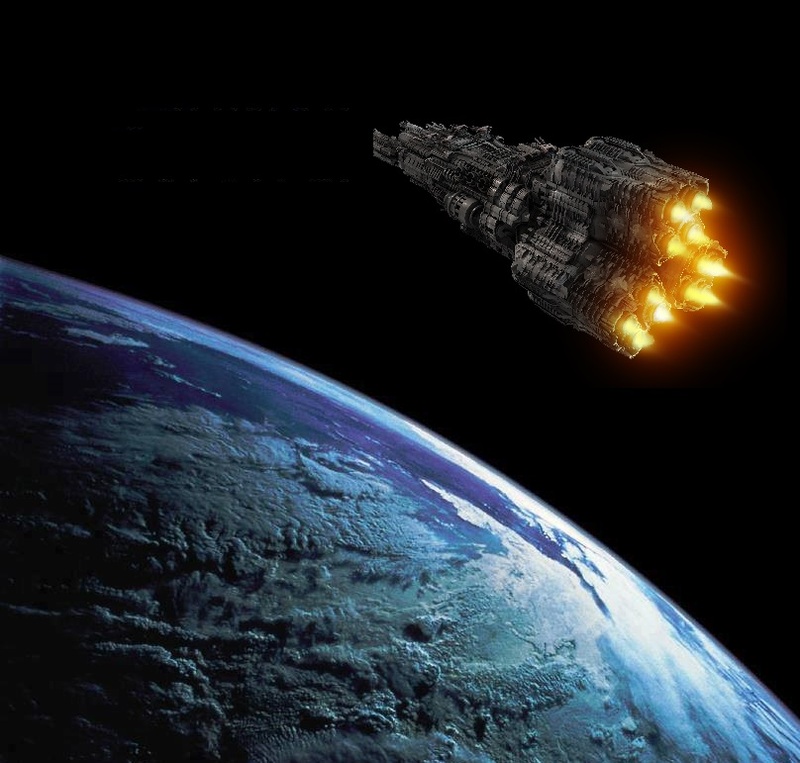 Once a spacefaring civilization is established, if it is established, the human memory of exclusively terrestrial civilization will fade with surprising rapidity, and the “new normal” of spacefaring civilization will become normative. This, then, will be the context of lived experience, even as a past context of lived experience fades from memory. At that time, to be human will be to part of a spacefaring, multi-planetary species. We are, most of us, so caught up in the moment, in the pressing concerns of our lives, that we often think very little about the past or the future. One can think of this as the dark underbelly of “living in the moment.” When our thoughts are primarily taken up with our lives in a spacefaring civilization, we will have little time or energy remaining to think about the “good old days” when civilization was exclusively a terrestrial concern. This post on Centauri Dreams, like many of my longer essays, began very small, as an addendum to my What Do Stagnant Supercivilizations Do During Their Million Year Lifespans? I began drafting it as a Tumblr post, then I moved it over to WordPress as a longer piece, and then it grew to proportions that I offered it to Paul Gilster for Centauri Dreams. I have often found that seemingly very small and relatively simple ideas require considerable exposition, and in my attempt to give a clear exposition of a simple idea I have to repeatedly back up in order to proper account that is reasonably close to first principles. So the core of this essay was the idea that, if a civilization persists in existence for a period of time sufficient that we would be inclined to call it a “supercivilization,” then that million- or billion-year-old civilization would have had the time to engage in interstellar travel even if it never developed any spacefaring technology considerably in advance of our own at the present time (and this in itself would be remarkable, because it would require a supercivilization to stagnate at a relatively low level of technological development). On the way to getting to this idea, I gave an account of Kardashev’s properties of supercivilizations, views on the impossibility of long distance space travel, the idea that humanity is somehow tied to Earth (whether necessarily, empirically, morally, or metaphysically), the implicit qualifications that may be hiding in claims as to the impossibility of space travel, the relationship of these to what I call the SETI paradigm, and other matters – all of which I could have gone into in even greater detail. As always,this essay could easily have been twice as long. Or, as I often image it, any one of my Centauri Dreams essays could be the core of a short book that would give a thorough exposition of the many ideas considered. From writing this essay I derived a more useful sense of the role of suboptimality in the development of civilization, and I started to incorporate some of this sense into my recent Starship Congress presentation. 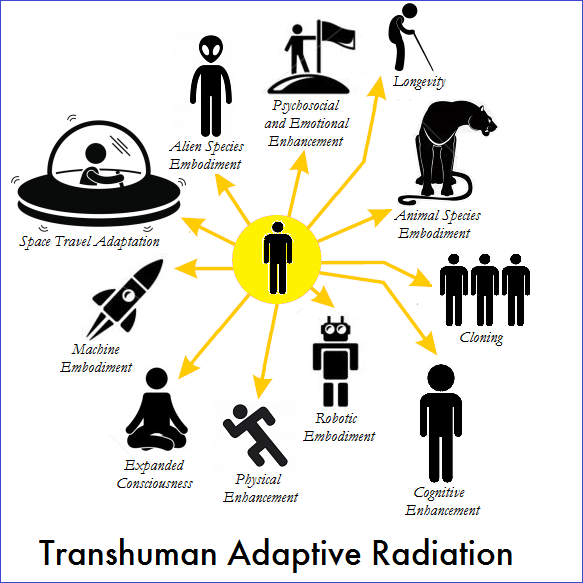 I have written about suboptimality previously, but now I see it in a much larger context, as I now also see the SETI paradigm and humanity’s relationship to its homeworld in a larger context. I hope to give a more formal and metaphysical exposition to these ideas at some time in the future. In particular, now that I have a greater appreciation of suboptimality, I would like to consider the entire possible range of suboptimal civilizations, and this in turn would require parsing the idea of civilization itself in order to determine the ways in which civilizations might partially or selectively stagnate, even while other aspects of that civilization continue to develop. And this drives me back once again to an attempt to elucidate an adequate model for civilization, which was one of my central concerns in the Starship Congress presentation that I just delivered. So all of this concerns tie back to each other, and none of them can be satisfactorily resolved in isolation from the other. This makes the effort difficult, but also rewarding. Incremental progress has a way of feeling quite significant in this context. However long my essays become I find that my exposition repeatedly falls short of successfully making my intended point, as evidenced by the comments on this essay about what I mean by the central project of a civilization. I’ve written responses to some of these comments, but what I really need to do is to give an extended exposition of the idea of a central project that is not explicitly tied to the idea of spacefaring civilization. All of this is, of course, a great education in how to write something that others will understand, and how to speak to others in a way that they will understand what you say, however unfamiliar it is what you have to say. It is impossible to forestall all misunderstandings, but one can go a considerable distance in meeting others half way and thereby be less likely to be misunderstood. I know that I usually try to pack too much into an essay, and I have been repeatedly told to slow down when I speak, and to stick to the exposition of a single idea. This is good advice, but then the crucial question becomes, What idea? You have a choose an idea that has immediate connections with what your audience already knows. If you pick an idea deeply embedded in your own thought, the audience has to acquire a lot of context just to understand what you are saying, and it is understandable that few will make the effort. This is an ongoing problem for me, and I will not say that I have found the proper pace or framework for exposition, but I can at least say that I am working on it. In this way, the reader of this blog post can see how I am attempting to apply by own advice from my posts on Educational Advice from an Audidact to the exposition of my own ideas, and that this is an ongoing project without any definitive end.